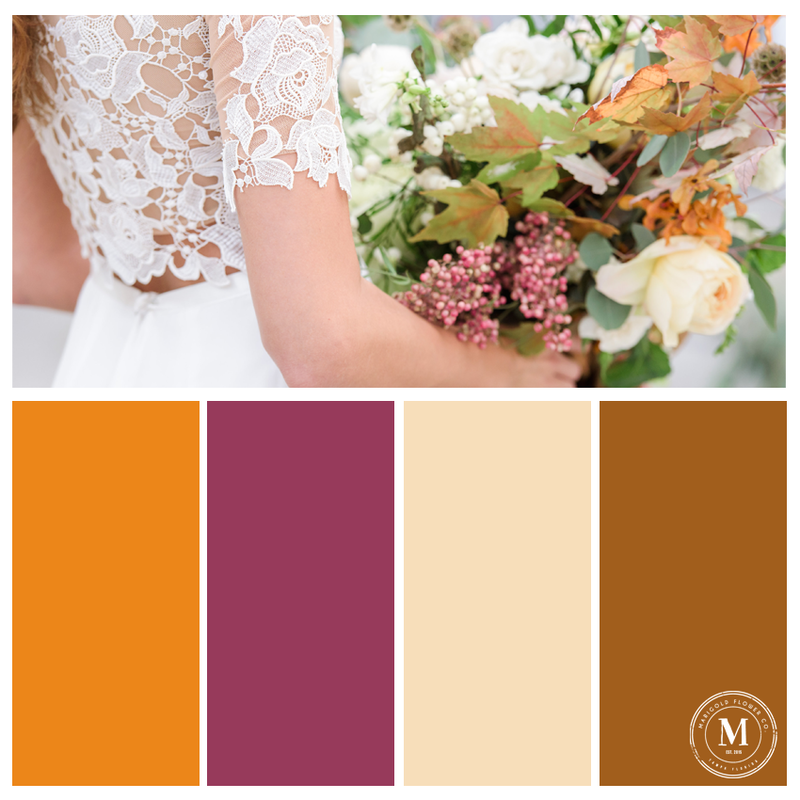 Whether you’re planning a fall wedding or decorating for a party, deciding on your perfect color palette is the key to ensuring a cohesive theme. While we love pumpkin orange, there are so many other great fall tones that you can incorporate into your decor. Keep reading to find out our top favorites! Classic pumpkin orange meets bold raspberry, buttery cream and rich toffee. These colors are the perfect transition from summer to fall. Oh how we love the combination of goldenrod yellow, dusty lavender, midnight plum and bold magenta! These colors are so rich and would be gorgeous for an evening wedding or party. When rich oxblood and dark forest green meet soft peach and vibrant coral, there is sure to be a match made in color heaven! We adore the boldness of this color palette and how nicely it transitions into winter. We all know that fall hardly exists here in Florida, which is why we like to add a little citrus twist to a traditional fall color palette. By incorporating tangerine orange, lemon yellow, creamsicle peach and muted sage, you get the essence of fall with a twist of the tropics! Poppy red, rich cranberry, deep burgundy and ballet pink (or as we like to call it, "dirty ballet slipper") are definitely some of the most popular fall and early winter colors when it comes to weddings! What keeps this color palette from looking too Christmas-y is the absence of muted winter greens and addition of soft pink. Have a favorite fall color palette of your own? Share it down below! And don't forget to check back next Thursday for our first "DIY" post. Any guesses what we'll be making? Best friends. Food lovers. Tea drinkers. 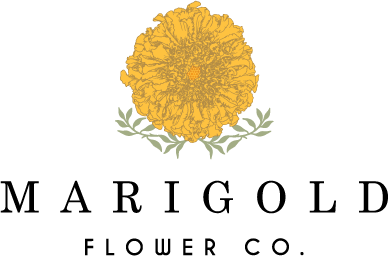 Flower enthusiasts.